This top of the table matchup between two very much in-form sides is surely going to be a high scoring affair. The fans at CenturyLink Field are up for a real treat. While Sporting have managed to win four out of the last five games, the Sounders are undefeated in their last ten matches. 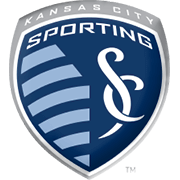 Sporting KC are second in the table in the Western Conference, compared to the number five position Seattle is currently occupying. Sporting have scored a lot more goals this season while the Sounders attackers are struggling. In fact, Sporting has scored 15 more goals than the Sounders so far. But, even though they had a slow start to the season, Seattle is now getting into the groove and winning games, all the time climbing up through the table. 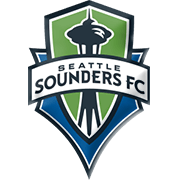 Both teams are playing well, but Seattle Sounders are slight favorites for the win on Friday to make it eleven games undefeated. Nicolas Lodeiro is an experienced midfielder, who played for Barrio Obrero and Nacional during his youth career. In 2007 he tasted senior-team football for the first time ever and it has to be noted that he scored nine goals in 43 appearances in the league for Nacional. In January 2010 the Uruguayan footballer joined Ajax, but he played no more than 21 games in the Eredivisie during his spell with the Amsterdammers. In 2012 he returns to South America, signing a four-year deal with Botafogo. During his spell with O Glorioso, Nicolas Lodeiro represented Uruguay at 2013 FIFA Confederations Cup and 2014 FIFA World Cup. The left-footed footballer was part of Corinthians and Boca Juniors before joining Seattle Sounders in 2016. Speaking of his international career, Lodeiro made his Uruguay debut against Costa Rica in the 2010 World Cup play-offs. 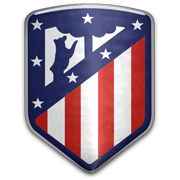 The MLS star, who wears the No. 10 shirt, was born in Paysandu, Uruguay on March 21, 1989. In 2016 he won MLS Cup with Seattle Sounders.